The Bandits are dedicated to providing great experiences through lacrosse for players, coaches, and parents – both inside and outside of the organization. Our goal is to prepare our boys and girls to become better lacrosse players and people, deliver high quality training and teaching through a proven system, provide top-notch administration and organization, and finally make a positive impact on the larger Colorado lacrosse community. 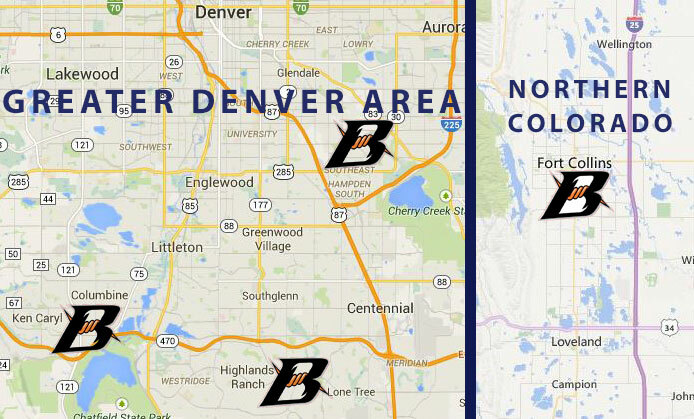 If you are interested in the Bandits and are not near one of the locations below, don’t worry and don’t hesitate to reach out – we look forward to hearing from you!